Postal Note Currency 1883 to 1894 Value Information. The Postal Note was created by the Post Office in 1883 to act as a money order. Most people didn't have checking accounts and bank checks were expensive. 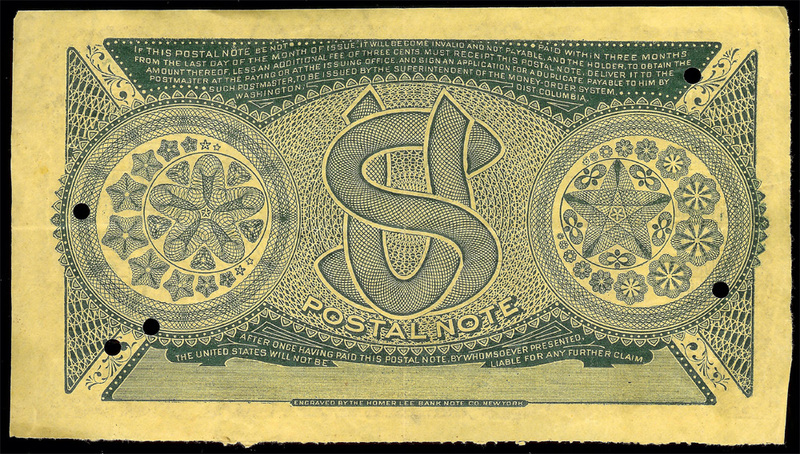 The Postal note allowed a citizen to send up to $5.00 to someone without sending actual cash. There are 7 types of postal note but for the general public only two types are meaningful. For a detailed description of the seven types check out this Wikipedia Postal Notes. Type 1 Postal notes are bright gold and actually kind of pretty, especially the back. All other postal note types are gray in color and look more or less the same. 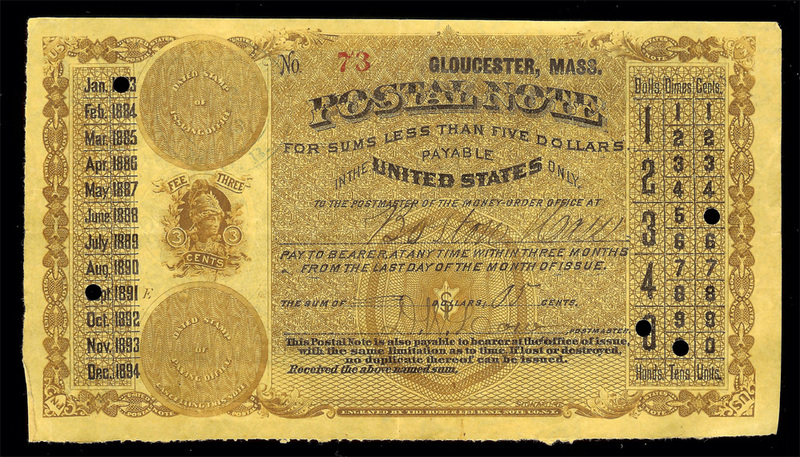 Most surviving postal notes are for amounts less than .05 cents. Notes with small amounts like that are souvenirs, often purchased on the last day of issue. 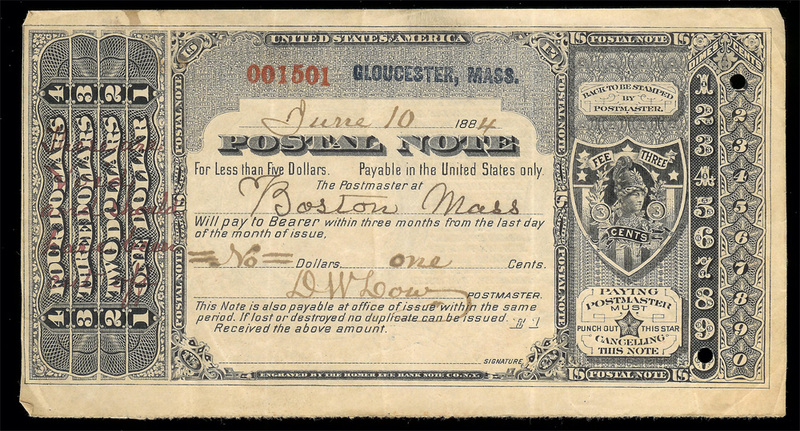 A postal note with a real amount is worth more because it's been used as it was intended. Postal notes today are thinly collected but the participants are intent for sure. The most valuable notes are those scarcely (at the time) populated Western States and Territories. 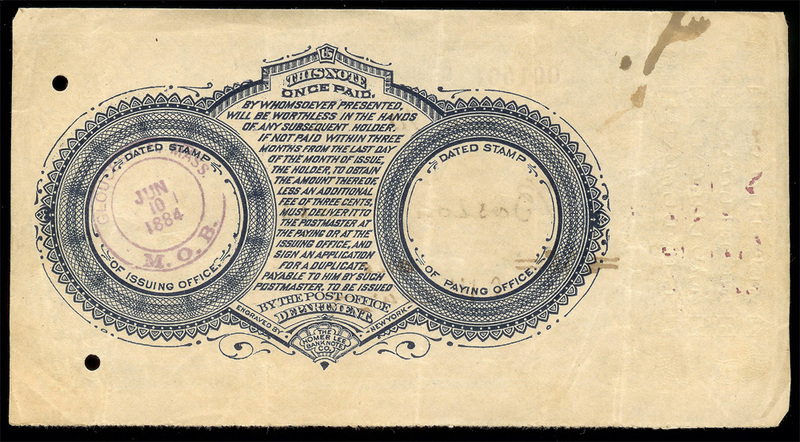 Serial Number one postal notes are especially desirable and always bring a premium when they are sold. If you have a postal note and are interested in the value please contact me. You might have something neat and be surprised at my offer.